Eternal Orthodox Church calendar for the 15.12 year 2017. 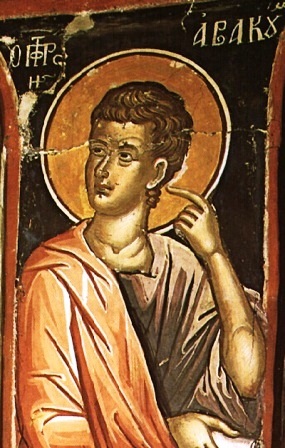 The son of Sapnat, of the tribe of Simeon, he prophesied six hundred years before Christ, in the time of King Manasseh, and foretold the devastation of Jerusalem. When Nebuchadnezzar, King of Babylon, attacked Jerusalem, Habakkuk went into the land of the Ishmaelites, whence he returned to Jerusalem and made his living working on the land. One day, when he was carrying lunch to the workers in the fields, an angel of the Lord suddenly appeared to him and said: "Go, carry the meal that thou hast into Babylon, unto Daniel who is in the lion"s den." Habakkuk replied: "Lord, I never saw Babylon, neither do I know where the den is" (Daniel 14:33 in the Greek text. It is omitted in the Hebrew Bible, and is to be found in the Apocrypha under Bel and the Dragon). Then the angel seized him by the hair and carried him straight to Babylon, over an immense distance, to the lion"s den where Daniel had been cast by King Cyrus because he would not worship idols. "O Daniel, Daniel," cried Habakkuk, "take the dinner which God hath sent thee!" And Daniel took it and ate. "Men the angel of God again took hold of Habakkuk and carried him back to his field in Judea. Habakkuk preached and prophesied about the liberation of Jerusalem and the coming of Christ. He entered into rest in great old age and was buried at Keilah. His relics were discovered during the reign of Theodosius the Great. Myrope was born in Ephesus of Christian parents. After the death of her father, she went to the island of Chios with her mother, and there suffered for Christ. The passion of this holy virgin took place soon after the passion and death of the soldier-martyr Isidore (May 14th). When the torturers had beheaded Isidore, the courageous Myrope took the body away secretly and buried it in a special place. The wicked prince Numerian heard that the martyr"s body had been stolen, and threatened to execute the guards. Hearing that innocent people were to suffer for her act, blessed Myrope came before the authorities and confessed that it was she who had taken the martyr"s body and buried it. On the prince"s orders, Christ"s holy virgin was savagely beaten, and cast into prison covered with wounds. But the Lord did not leave His martyr comfortless. A heavenly light illumined the prison in the dead of night, and many angels, with St Isidore in their midst, appeared to her. "Peace to thee, Myrope", St Isidore said to her, "thy prayer has ascended to God, and thou shalt soon be with us and receive the crown prepared for thee". The holy martyr was filled with joy, and at that moment surrendered her soul into God"s hands. A sweet fragrance came forth from her body and filled the whole prison. One of the guards who witnessed all this was moved to belief in Christ and was baptised, and soon thereafter suffered a martyr"s death. St Myrope entered into eternity in the year 251. 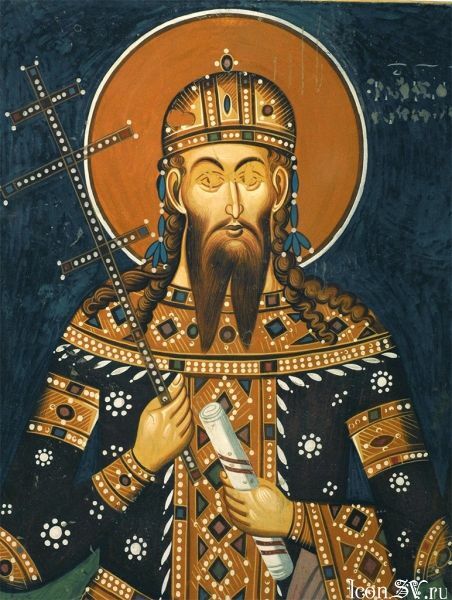 The son of King Dusan, he ruled during the difficult time of the fall of the Kingdom of Serbia. Humble, pious and gentle, he refused to attempt to restrain the power of the powerful nobles by force. Amongst these was Vukasin, who brought about his death. Good King Uros suffered a martyr"s death on December 2nd, 1367, at the age of thirty-one. Killed by men, he was glorified by God. 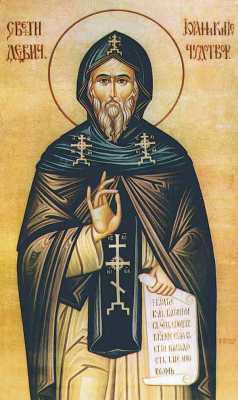 His wonderworking relics were preserved in the monastery of Jazak in the Fruska Gora, whence they were taken to Belgrade in 1942, during the Second World War, and placed in the Cathedral beside the bodies of Prince Lazar and Despot Stephen Stiljanovic. During the reign of this benevolent king, the monastery of St Nahum was built beside Lake Ochrid by one of Uros"s nobles, Grgur.